What is the secret behing the Solfeggio Frequencies? Some believe that the secret behind this sound healing tool has to do with the fact that each of the Solfeggio Frequencies is based on the numbers 3, 6 or 9. These numbers are said to be extra powerful. 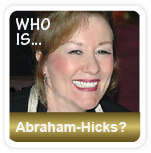 See what experts have to say about the numbers 3, 6 and 9 and the Solfeggio Frequencies. The Solfeggio Frequencies were used in ancient Gregorian chants. They were sung in Latin and in harmony during religious masses to imbue spiritual blessings. Today, the Solfeggio Frequencies have been rediscovered as healing sounds and are said to be more powerful than any other sound frequencies. But why is the Solfeggio Frequencies such a powerful sound healing tool? Because the Solfeggio Frequencies are based on the powerful numbers 3, 6, and 9! Scientists have discovered that the vibrations of the numbers 3, 6, and 9 are extraordinarily powerful. John Keely (1837-1898) was an expert in electromagnetic technologies and discovered that the “vibratory antagonistic thirds are thousands of times more forceful in separating hydrogen from oxygen in water than heat”. Nikola Tesla (1856-1943) was another scientist in the field of electromagnetism that was fascinated by the numbers 3, 6, and 9.“If you only knew the magnificence of the 3, 6 and 9, then you would have a key to the universe”. To show that Solfeggio Frequencies, actually are based on the numbers 3, 6 and 9, we will use the Pythagorean number reduction methodology. This reduction method is very simple and is used to turn big numbers into single digits. Dr Joseph Puleo has described the Pythagorean number reduction methodology in his book “The Book of Numbers”. So, let’s use this methodology and reduce the Solfeggio Frequencies into single digits, and see if they match the powerful numbers 3, 6 and 9. The Solfeggio Frequencies are: 396 Hz, 417 Hz, 528 Hz, 639 Hz, 741 Hz and 852 Hz. The results are amazing! According to the number reduction method, each frequency is based on the numbers: 3, 6 or 9. This means that the Solfeggio Frequencies could be based on the mystical powers and healing properties of the numbers 3, 6 and 9. Sound healing with Solfeggio Frequencies may therefore have amazing powers, according to this theory! Ok, but how does this work? The Solfeggio Numbers 3, 6, and 9 – How does it work? To explain the powers behind the Solfeggio Frequencies, let’s see how the sound – depending on the frequency – vibrates! First, it’s important to understand that sound is a vibration and each sound/vibration affects us differently. 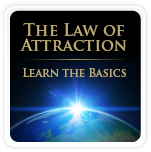 The easiest way to demonstrate this is to use Cymatics – a process of visualizing sound by vibrating a medium such as water or sand! The word “cymatic” comes from the Greek word “kuma” that can be translated as a wave of energy. Cymatics is the study of visible sound and healing. An experiment that demonstrates the visualization of cymatics was done back in 1787 by Ernest Chladni. He placed some sand on a metal plate and drew a violin bow along the edge of the plate to create a vibration. The most amazing thing happened – the sand formed itself into wave patterns, such as concentric circles. The history of cymatics goes even further back with Da Vinci (1452-1519) as he noticed that a vibrating wooden table with dust on it, created various shape. Galileo (1564-1642) noticed long row of fine dancing streaks as he scraped a brass plate. The English scientist of Oxford University, Robert Hooke (1635-1703) discovered that flour on a glass plate created patterns as he drew a violin bow along the edge of the glass plate. It was this experiment that inspired Ernest Chladni 100 years later, to use sand on metal plate instead. So, ”cymatics” – the process of visualizing sound – can help us understand that sound is a vibration and different vibrations affect us differently. 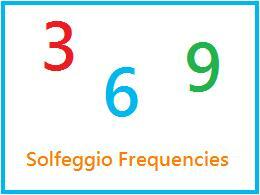 The Solfeggio Frequencies vibrate on different frequencies and each of the six Solfeggio Frequencies match the powerful numbers 3, 6 and 9 (as shown above). The Solfeggio Frequencies are therefore said to be very beneficial for our health. Let’s use Cymatics and see what Solfeggio Frequencies look like!